STONEHENGE is one of Britain’s most iconic sites. Time Team favourite Francis Pryor reveals all in new book Stonehenge: The Story of a Sacred Landscape. Francis tells Bill Gibb the Honest Truth about its amazing past and secrets. 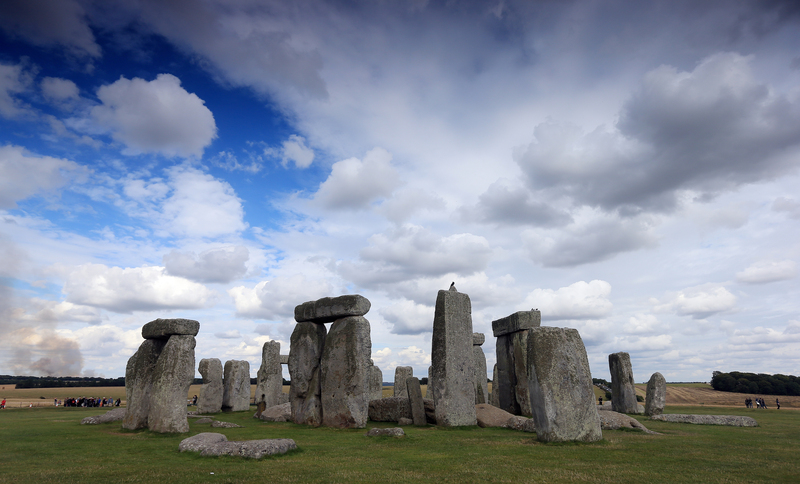 What and where is Stonehenge? It’s a prehistoric temple on Salisbury Plain in Wiltshire which was first built just over 5000 years ago. It was meant as a tribal centre to gather people together, probably at certain times of the year. It consists of at least two rings of massive stones, shaped with straight sides. What’s really remarkable is that on the top of these huge standing stones they placed another shaped stone as a lintel. The circular lintel would have been complete and within that would have been a horseshoe setting of even larger stones, two verticals and again a lintel on top. How were the stones transported to the site? The stones came from two areas. The most famous ones, the blue stones, came from south-west Wales. rollers all the way, a distance of over 100 miles. It’s a remarkable feat. The larger stones, which weigh up to 20 tons, came from the Marlborough Downs, ONLY about 20 miles away. Again they’d have been pushed by thousands of people. Why was it created there in the first place? Just in the last decade we’ve learned that it’s placed on a site that’s been sacred for about 10,000 years. We know that because Stonehenge has an entrance-way which points north-east on the line of the midsummer sunrise. Recent excavations found that underneath the topsoil there were deep natural cracks in the limestone with the precise same alignment. So just after the last Ice Age people would have realised this was a sacred spot and they honoured it 5000 years later with the construction of Stonehenge. Has it always been looked after? Sadly not. We now regard Stonehenge as possibly the nation’s most treasured asset but that wasn’t the case in the past. People weren’t aware of how old it was and they treated it with considerable disrespect. As late as the 1970s people were frequently chipping pieces off the stones to take home as souvenirs. And in Victorian times, if you visited Stonehenge in the summer you’d hear the sound of hammers everywhere pecking away at the great stones. Local farmers also broke up some of them for their barns and walls, so we’ve lost quite a few. Tell us about the solstices. The midsummer and midwinter solstices were always special and when farming arrived about 6000 years ago they were regarded as very important times in the calendar for either gathering or sowing crops. But Stonehenge and the houses around it are circular so you could think of it as a house of the Gods, of the spirit of the ancestors. It’s very complex and rich in symbolism. One thing that makes me angry is that in recent times we’ve treated Stonehenge as if it’s really quite simple. In reality, it’ll take us another four or five centuries to begin to understand it. So there’s much more work to be done? Absolutely. But we must continue to respect it and not treat it in the cavalier fashion of the past. There shouldn’t be any more digging unless there’s an incredibly good reason.